If shopping at fast-fashion stores is cramping your spring style, venture into these local second-hand shops. 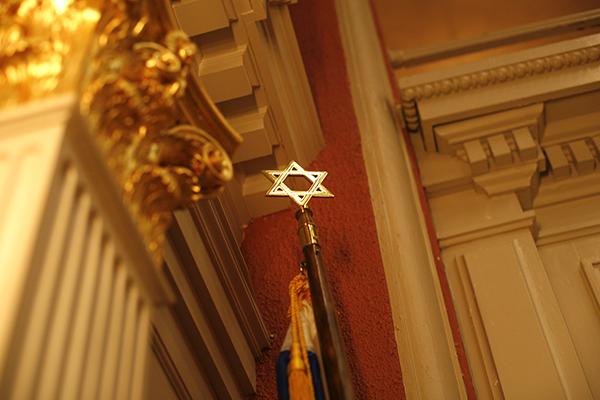 It’s not your typical conversation in a synagogue, but it shows why Sixth and I is booming as a cultural hub for both the Jewish and D.C. community. Over the past year, it’s packed its pews when National Public Radio hosts with thick-rimmed glasses held talks and even as indie rockers Deerhunter hit the stage. The pressure is on at the end of the semester thanks to more than just final exams — it’s time to face the daunting task of buying gifts for friends and family. Whether you’re shopping for the family members who always has the latest iPhone, the music enthusiast with a penchant for obscure bands or the wild card friend, get inspiration from The Hatchet’s gift guide. A student organization called Ascension: GW began working with survivors of sexual assault in October, fusing yoga with traditional talk therapy to help with recovery. The organization hopes to collaborate with other campus organizations like Allied in Pride, which organizes social and political advocacy and philanthropic events while serving as a safe space for anyone in the LGBTQ community. Junior Henry Morillo created GWTV’s second ever sitcom “Gender Neutral,” which premiered Wednesday. Fifty-six GW Law School students plan to keep a Lisner Auditorium crowd laughing at their annual musical and comedy sketch show Feb. 23.